The ATM ate my money! I was going to write a whole expose on Canadian Manufactured Spending today, but then while doing transactions yesterday, this happened at my local ATM. Let’s just say I’m not a big fan of CIBC right now, even though I have a lot of their products. If you already have their Aeroplan co-branded Visas, great. Otherwise, I’d suggest getting the TD Aeroplan co-branded cards, which are offering fantastic promotions. The TD Aeroplan Visa Infinite is offering 30,000 points, while the TD Aeroplan Visa Infinite Privilege is offering a whopping 65,000 points after meeting requirements – this is the highest Visa offer I have ever seen in Canada. 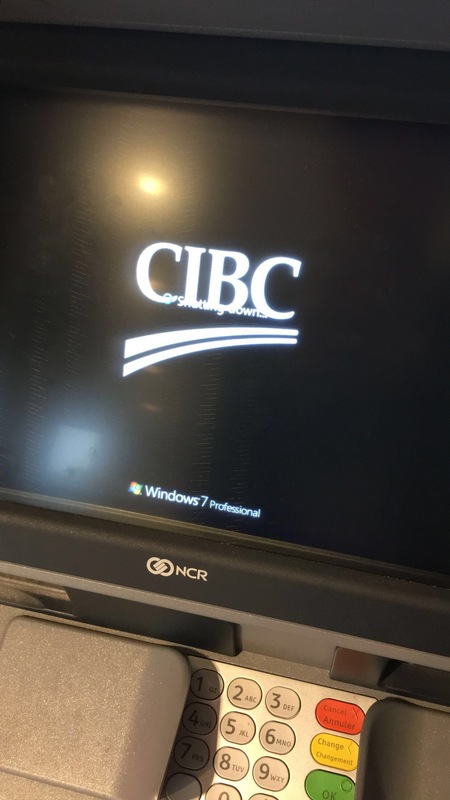 CIBC ATM ate my money! I was making a deposit, and it took my bills and then suddenly started shutting down. It spat most of my bills out, but it kept some! Thankfully, I’m glad it was only a couple of bills. It could have turned out a lot worse. Since it’s the weekend, I’ll sadly have to wait until the next business day to get a credit memo in my account. You were going to write an expose on Canadian MS, then an ATM malfunctioned during a transaction, so now people are out of luck if they didn’t go to Points University last month. So…. why aren’t you writing the expose? Cuz the ATM ate my money! What she said x 2. Fred, send me an email. I’ve been an avid follower of you for quite some time. Used youre referral links. Whats your email. I would love to hear about this manufacturing spend opportunity. Wish i couldve made it to Points U! When is the next Points U in Vancouver, couldn’t get to TO? Can you please do a PointsU in Montreal? not all of us could have made it to points u.
I did attend the recent Toronto Points University but could not get close enough to you between talks to confirm Canadian Manufactured Spending. I am OK with the Canadian mint ms, but they do claim that only one set of the maximum amount of coins can be sent to one address. Can you elaborate on procedures for the Canadian Manufactured Spending that you are referring to. Tim, send me an email.